A new year brings new triumphs and challenges to the ever-engaging Quinn family. Kelley, the patriarch of the family, has been reunited with his estranged wife Mitzi after she left him for the family's former Santa. Kelley has overcome a health scare and is happy to have his wife back by his side, running the family's Winter Street Inn like old times. Kelley's eldest son is about to be released from his prison term, his middle son is raising a family and opened a successful business, and recent revelations about his youngest son's missing military group provide hope that has been absent for the last two years. All the good things aside, it wouldn't be a Quinn holiday without some drama. Kelley's daughter Ava is currently juggling relationships with two men, his daughter-in-law is dealing with a secret opioid addiction, and his former daughter-in-law is the drug dealer! If all that isn't enough, the Quinns are diligently preparing the inn to host a family wedding all as the holidays approach. When a huge winter storm threatens to derail all of their holiday plans, the Quinn's are forced to confront their personal tribulations and come together to make the season a success. With Winter Storms, the third book in her Winter series, author Elin Hilderbrand recaptures some of the magic that made the first novel such a delight. The previous novel had a lot of plot to lay down, so there wasn't as much time devoted to the quieter character moments that made me fall in love with the characters in the first book. 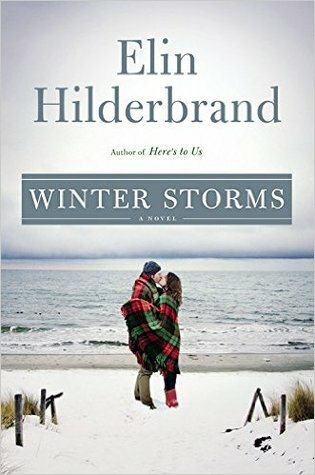 With a solid narrative foundation set, Hilderbrand is free to let her characters dictate the pace and tone of her story. She deftly combines the magic of the holiday season with the real-world struggles of an everyday family to craft a drama that is both emotionally engaging and narratively intriguing. Winter Stroll is the perfect reading companion for the holiday season. This entry was posted on Monday, December 31, 2018 and is filed under Book Review,Christmas,Drama,Elin Hilderbrand,Family,Fiction,Holiday,Winter Storms. You can follow any responses to this entry through the RSS 2.0. You can leave a response. I am glad that you're continuing to enjoy this series and could maybe love this one even more than the second book as it has less of the technical elements to get out of the way. Once the characters were free to just live out their stories, I was hooked on the book!